After visiting Grandma in SGH and wanna drove back to Kallang Airport there for dinner but we heard there is traffic jam at ECP so we turn and go toward Vivo. At first we wanna try Jamie's Italian but the queue was too long and my hungry stomach making noise! 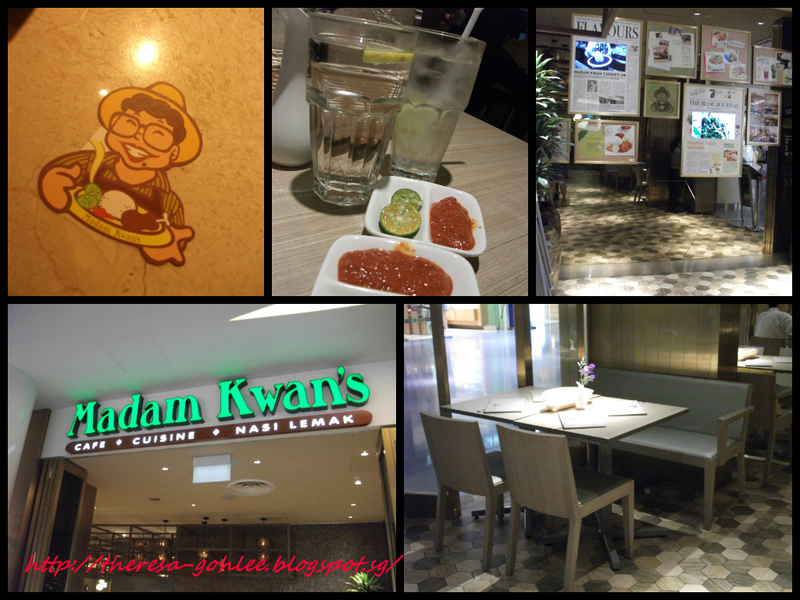 So we came across Madam Kwan's so we decided to dine in here and is Malaysian Cuisine so we give a try! The place was big and it look classy to me for lighting and ambiance but somehow the classical music just dun suit the food and it was blasted damn loud! Goh wanted to have beef so he ordered beef noodles (horfun) ($14.90) and for me by looking at the picture I found the hokkien mee ($14.90) looks good so I go ahead ordering that. 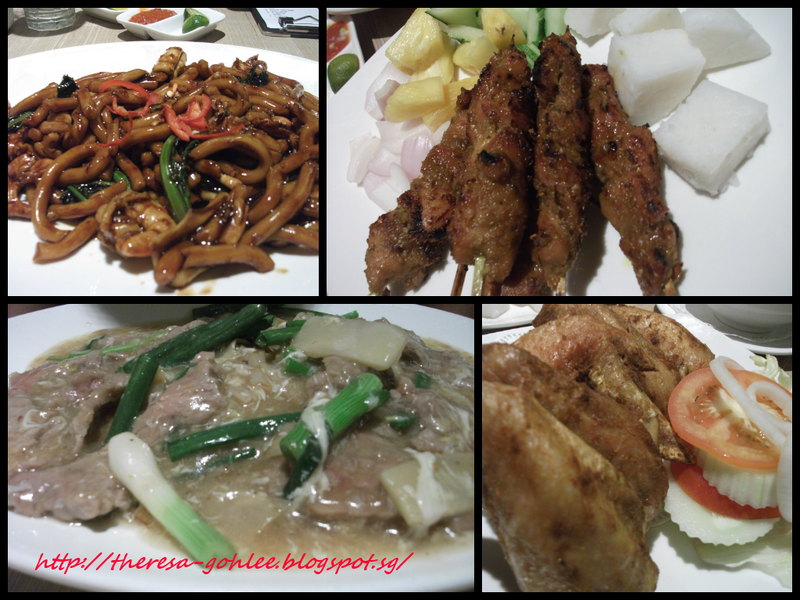 We also go for Chicken Satay (11.90) which the waiter recommend and also Fried Chicken wings ($11.90) and we decided to have plain water ($1 each refillable) cos we might want to have dessert after that. Waiting time was a breeze the food came out very fast .... and in no time our table were full! I was disappointed in the hokkien mee ..... it was salty and oily I didn't finished it just ate 1/4 of it. Goh said that the beef horfun was so so only there's better outside. Fried Chicken Wings was good very crispy and not too oily thumbs up, as for satay is also normal but ketupat was soft not so bad! Headed over to the mooncake festival fair and came across 8 Tarts n Pastries selling mooncakes as well so I bought mini Durian snowskin home. 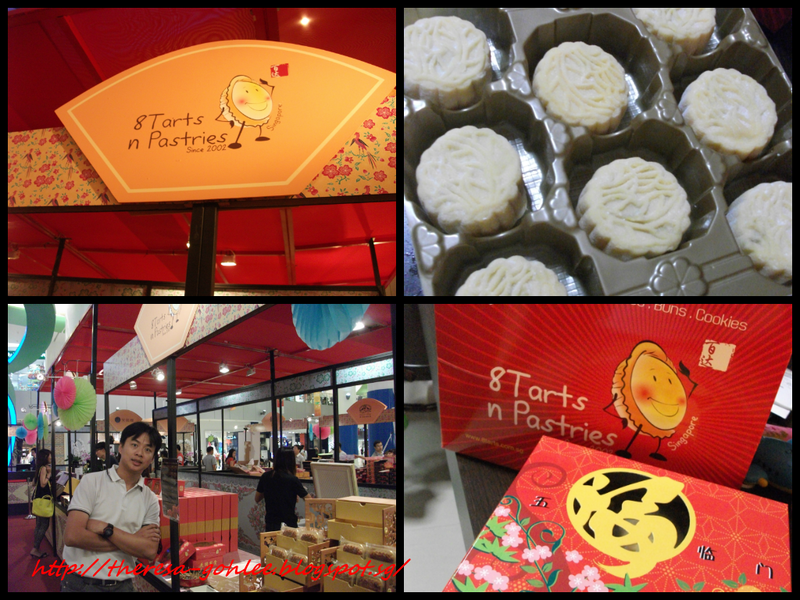 I can finish one with one mouth and the durian was good and skin itself very soft .... thumbs up for this!